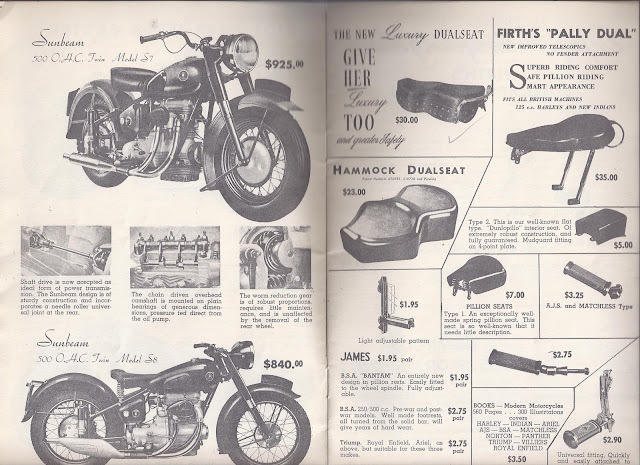 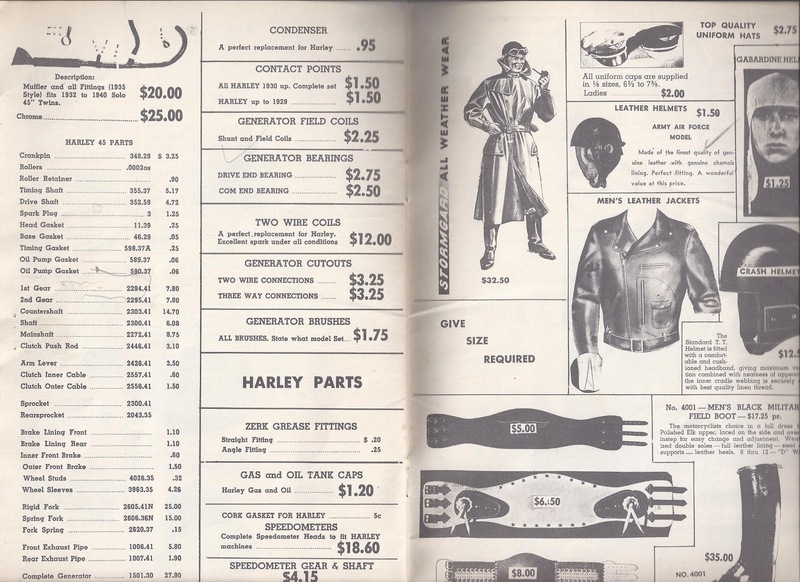 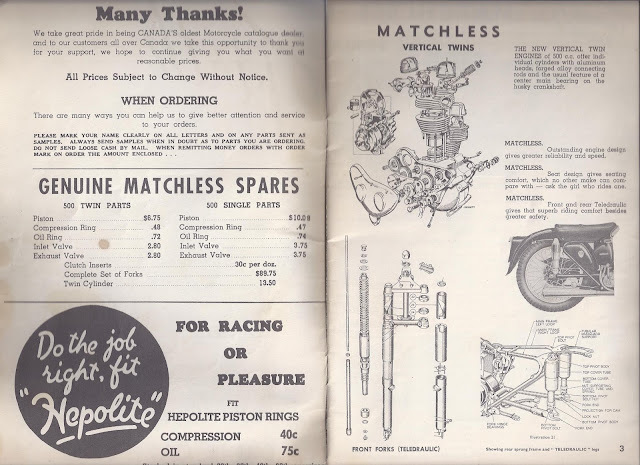 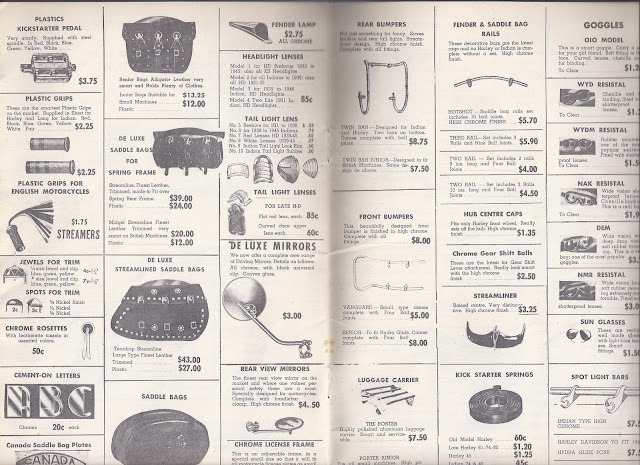 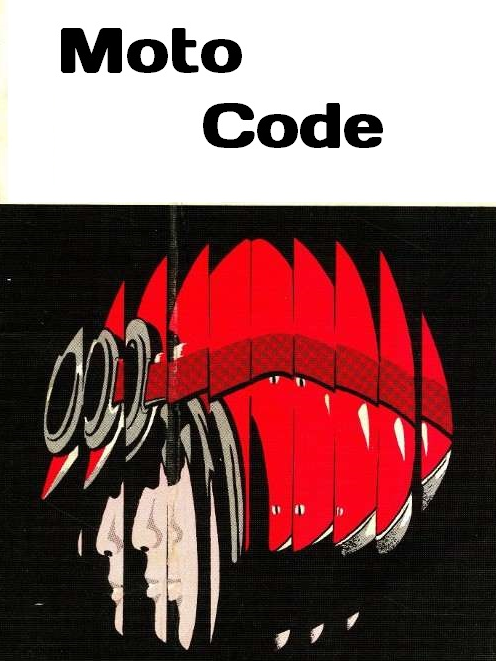 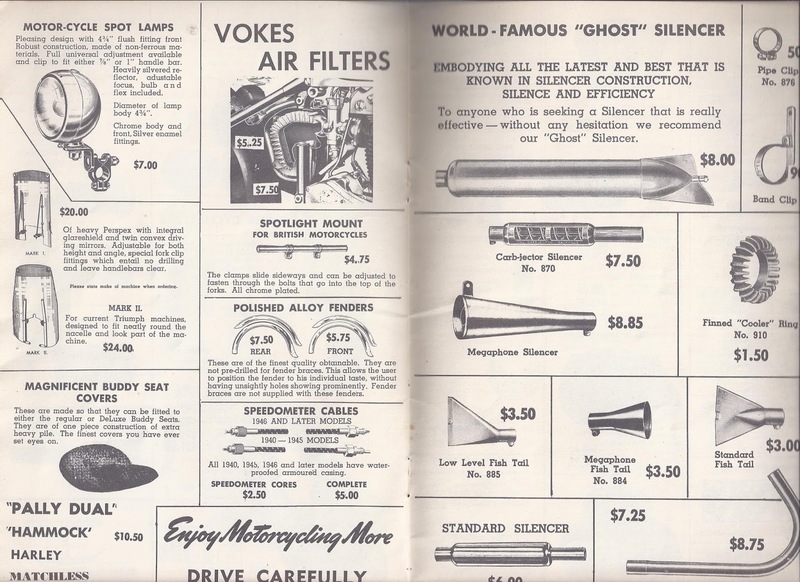 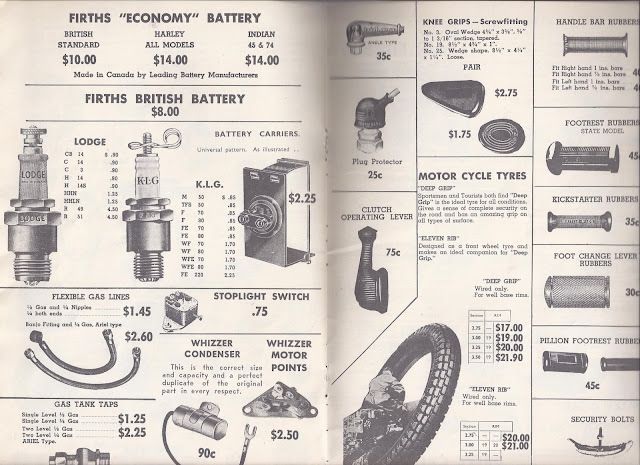 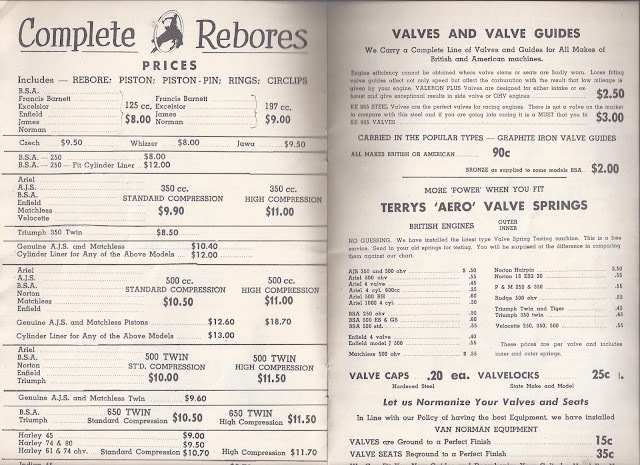 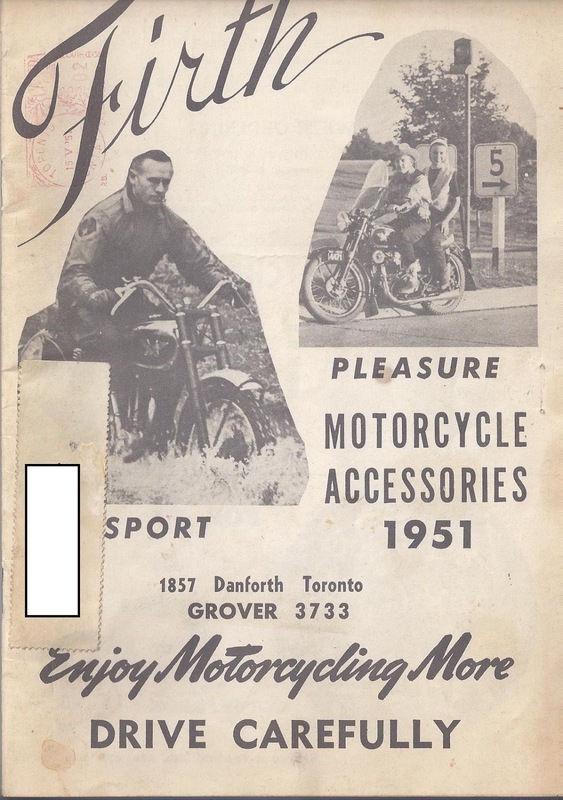 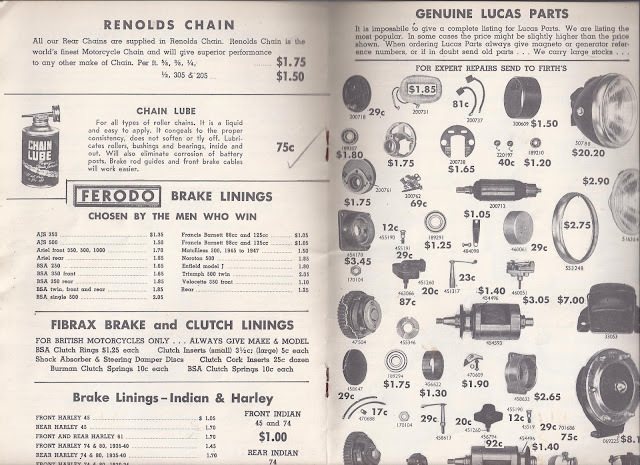 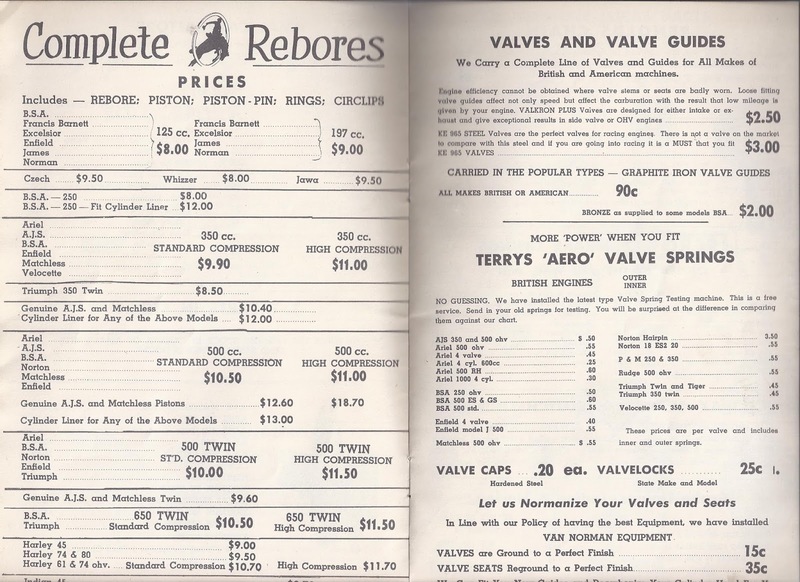 Moto Code: Firth Motorcycles 1951 Catalogue! 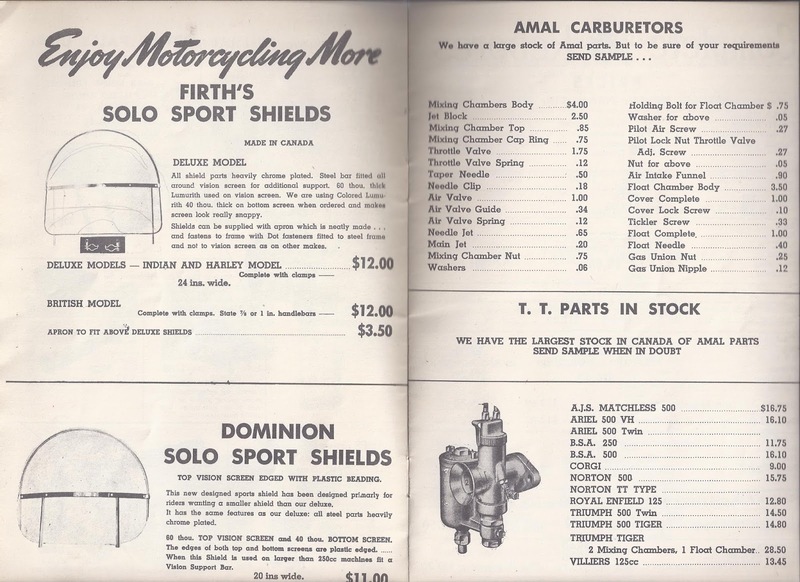 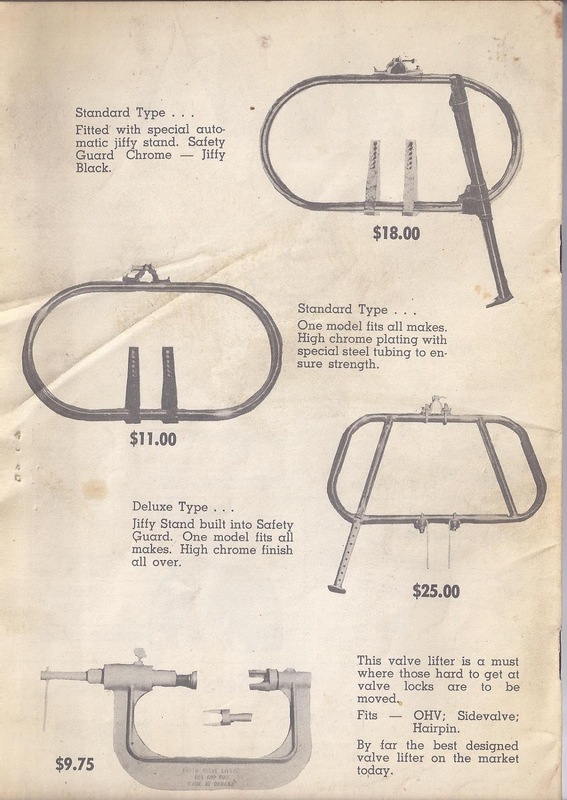 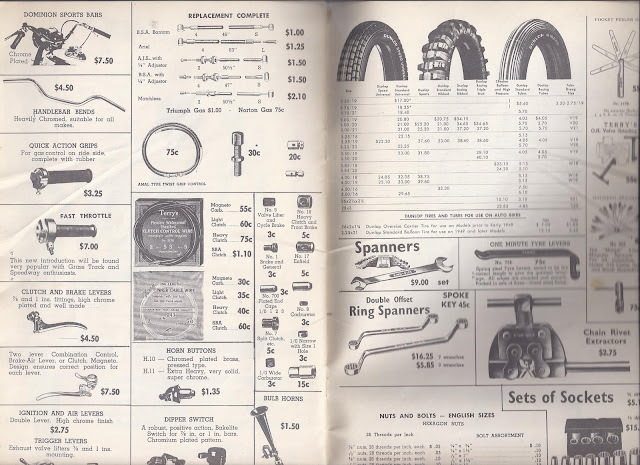 I have managed to source several vintage Firth Motorcycle catalogues (all from the same owner!) which I will share on the blog as I get them scanned and edited. 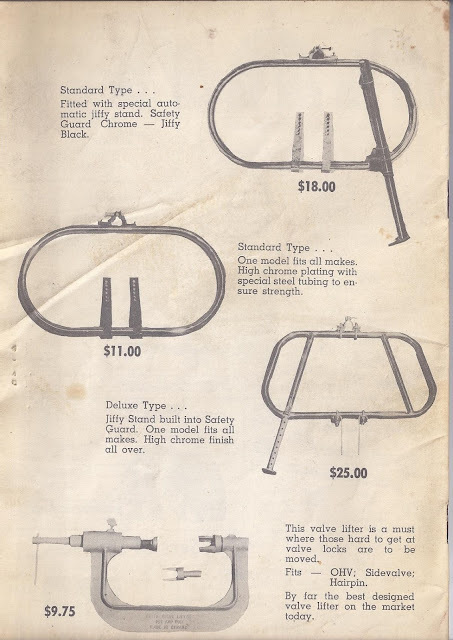 These to me, are a fascinating snapshot of life many moons ago and also a great way to identify mystery aftermarket parts. Just for fun I have included a link to an inflation calculator so you can convert 'then' prices to 'now' money. 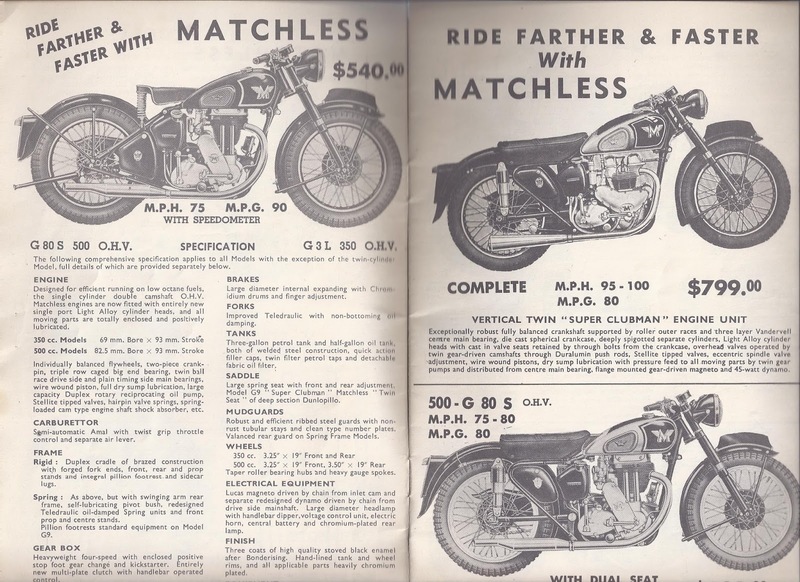 A 350cc Matchless single would run you $5,160.45 in 2016, good value for money and about what you would pay for a new Royal Enfield Bullet.